I am a child of the early 1970's. I thought a good starting point for this exercise would be to refer to the baby book my mother created for me when I was born. (Thanks Mom!) After 27 hours of labor, I was born via Cesarean section a month early at La Guardia Hospital in Queens, NY. These are some of the things she jotted down in the book about the year I was born. Clothing styles: layered look for women, Men --wide leg pants, high heeled shoes. Signs of the times: Apollo 17 to the moon, Viet Nam War concluding. Long hair worn by men and women. Here are a couple of the movies that came out that year that I was born. I've only seen them in bits and pieces of over the years but after looking at the trailers today, I am going to make a point to sit down and watch them from start to finish. They are both classics and it would do me some good to see them with grown up eyes now. Songs playing on the radio were Bill Wither's "Lean on Me", Don McLean's "American Pie", Roberta Flack's "The First Time I Saw Your Face" and Al Green's "Let's Stay Together. 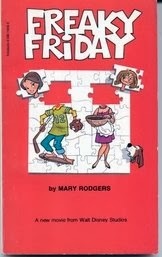 One of my favorite children's books that I remember reading when I was child was published the year I was born. And who could forget this! I loved it Andrea! too funny. Brought back memories! 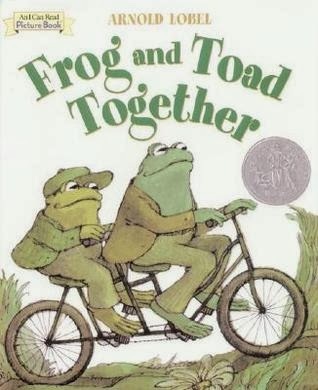 forgot abt Frog and Toad, now I got to order that! I loved those books so much as a little kid. They would make me laugh out loud sometimes. I have a daughter born around the same year as you were. Frog and the Toad: YES! Who we are! Hugs to you Mr. Pedersen. Thank you for the memories, I remember well most of the things you mentioned.